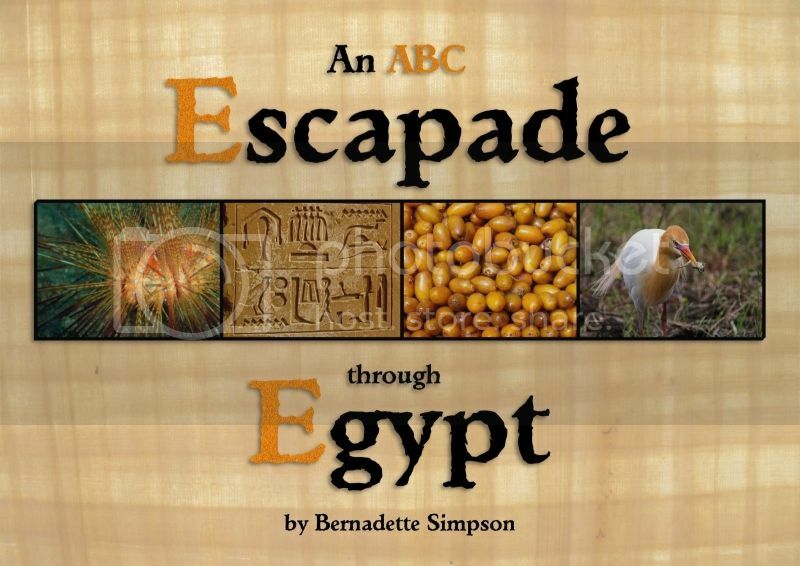 I started this photoblog in February 2009, two months after the publication of my book, An ABC Escapade through Egypt. 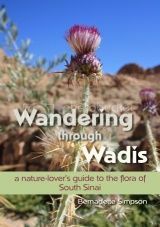 Although there are many images of Egypt in my book, I realized I had a lot more about Egypt that I wanted to share and so I decided to embark on this blogging adventure. Photography is simply one of my hobbies, something I dabble in. I am, by no means, a professional. My goal for this blog is share images and information about modern day Egypt. This escapade is therefore a random sampling of some of my photos taken on my own escapades through Egypt. They may not all be great photos but they each represent something beautiful and/or unique to Egypt. Sticking with the alphabetical theme of my book, I’m sorting the photos by letter – although they won’t be posted in ABC order! Because I hope that my photographs are not only interesting for others to view but also useful – particularly to young writers, teachers, and students – I am releasing most of the images on this blog under the Creative Commons Attribution-Noncommercia 3.0 Unported License. If the image is tagged with “CC”, feel free to use it! (If it’s not tagged, it’s probably because someone else took the photo and therefore not mine to share publicly.) If you use any of my images, please attribute them to Bernadette Simpson and cite the blog URL (or provide a link). Babylon & Beyond: WEST BANK: Fireworks after the feast? UPDATE: May 2017 ~ It’s been a few years since this blog has been active, but I still feel – and I hope you agree – that it has a lot of good, free and reusable content about modern day Egypt. I may post a new photo to the blog now and then, but you can also find follow An ABC Escapade through Egypt on Facebook. I share on there regularly, links to articles, interesting information and upcoming events in Egypt. thank you for sharing your images. I am an english illustrator working on a project for teaching english in the middle east. It was very good to have sight of flora which I could then interpret. I hope that your book does well . I shall look for it on amazon. I am thrilled to hear that the images are useful to you as an illustrator! Your project is a great example of how my photos of Egypt can be used. Please let me know about your English-teaching project. I’d be very interested in it. Hi Bernadette, I came accross your blog whilst looking for a picture of a taxi driver for a post on mine. I have added it at a link on my site as I enjoyed it very much. I see you have some links to other sites on Egypt. I’m a UK expat living in Cairo and I love to write about my experiences. I’m a producer, photographer and more recently, blogger.I was hoping you would not mind adding a link to me from your site? I hope it’s not rude to ask. And hope you don’t mind that I used your photo. Happy New Year. Hope to hear from you. Hello Sam! I’m glad that my photo was useful to your blog post. I’d be happy to add your link to my blog. Hello Bernadette, I found the url to your blog in a topic on Networked Blogs. Such a nice blog you have, and I really like the idea of ‘An Alphabetical Photo Adventure’. All the best with your book. I love your “Delhi Street Photography” blog and look forward to seeing more photos of India. Thank you for the comments on my blog, inspires me to carry on with it. And you are right about the similarity..when I first visited your blog, I found such a striking resemblance between the two countries…colours, textures, life of people….the K for Kushk, Q for Quilters, even F for Flame Tree..we call it the Gulmohar tree here. I thank you for sharing your pictures of Egypt. thank you for such a lovely presented blog and site…very informative. Keep the cuisine info coming! Bernadette, I love what you did with your blog! It’s awesome that you made it a book for children – your images are incredible! I can’t wait to go through all the ABCs. I bet some of them will remind me of home. 🙂 Have a great weekend, and keep in touch! I enjoyed taking a look through Egypt via the alphabet. What a creative idea! Now you should go through the Arabic alphabet, right? Apologies for my spelling mistake of your name , should read Bernadette. Hope you forgive my typo. Perhaps someone there can be of more assistance. Good luck! Great blog:). I am also an ESL teacher, and I write a web site called Kid World Citizen. Is there a picture I can use for an article about Egypt:)? Thanks! You may use any of the photos posted on the blog for non-commercial purposes, so if it is for your website – feel free to choose whichever photo matches your article best. Just please accredit the photo to this blog. Hi Catherine, Thanks so much for your message! It’s always fun to know where and how my photos of Egypt are being used. 🙂 And thank you for giving proper credit. It’s much appreciated! Ramadan Kareem!